Do You See Jesus, Son? Before you atheist and God haters get excited to welcome another in your fold, let me set the records straight and tell you that I am a Christian. A proud Christian with an open mind. So there. Now leave me alone so I could get into my blog. 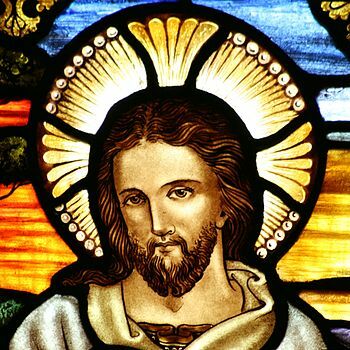 Now, since cameras weren’t around when Jesus walked the earth and sketch artists were never mentioned, it begs me to ask the question, ‘What did Jesus look like?” I see paintings of a man who looked just like any other man from Jerusalem. He looked like Peter and also Paul. Heck, without the beard he could also pass for Mary. When people claim to see Jesus, are they sure it wasn’t the Angel Gabriel, Moses, or some other ancient holy man? Maybe he…he…looka like a…man?